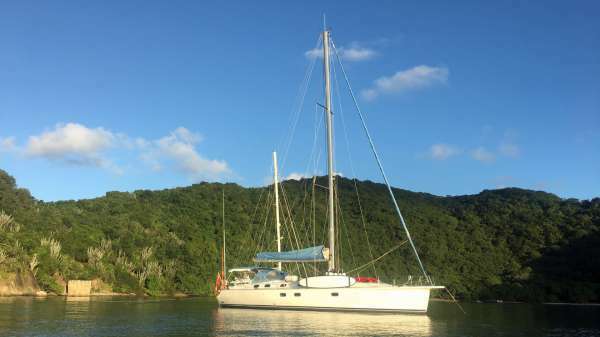 NEMO SY is a 15m (50ft) Dufour Sailing Yacht built in 2003 (refit 2015/2016) accommodating 6 guests in 4 cabins with Captain Neil Collier (2 crew) offering yacht charters in the Windwards Islands. 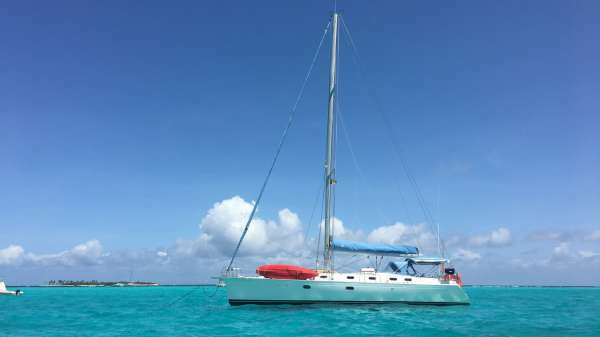 Summer Sailing Area: the Windwards Islands. 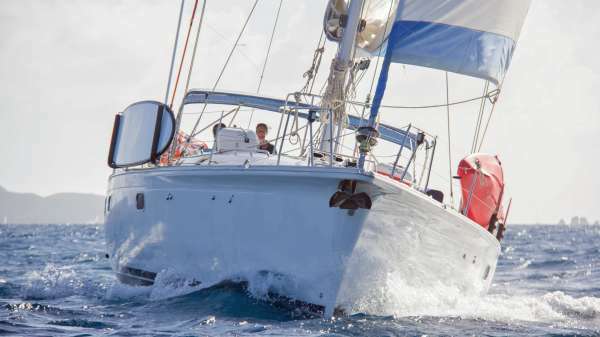 Winter Sailing Area: the Leewards Islands, the BVI, the USVI, the Windwards Islands. 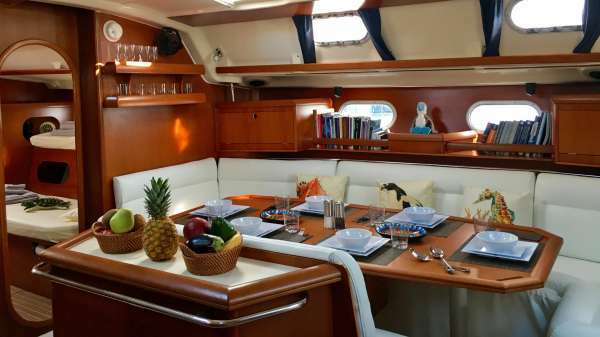 S/y Nemo Has A Wooden Interior With Lots Of Light Throughout As She Has 29 Hatches / Port Lights. 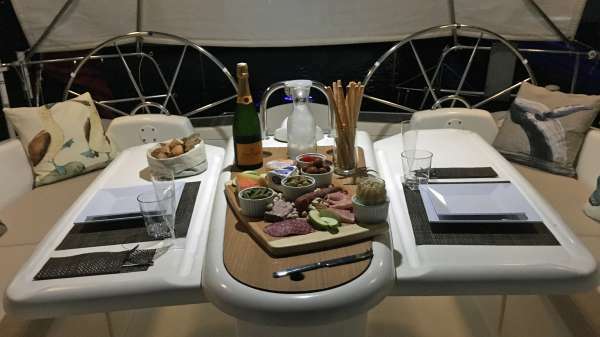 The Main Saloon And Dining Area Is Open Plan, Light And Airy, And Can Comfortably Sit Six Guests, All Of Whom Can Sit Back, Relax And Enjoy The Delicious Breakfasts, Lunches, Aperitifs And Dinners Served On Board. All The New Upholstery Is Cream To Continue The Light And Airy Feel. 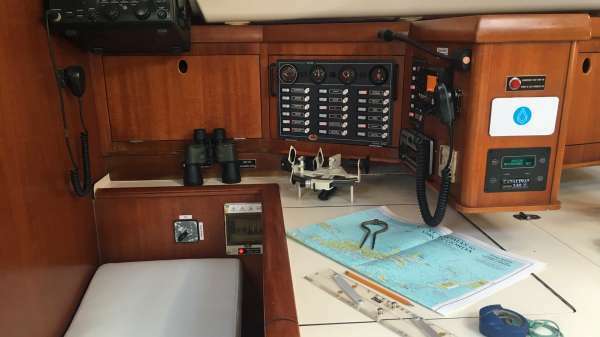 The Cockpit Is One Of S/y Nemo’s Best Features. 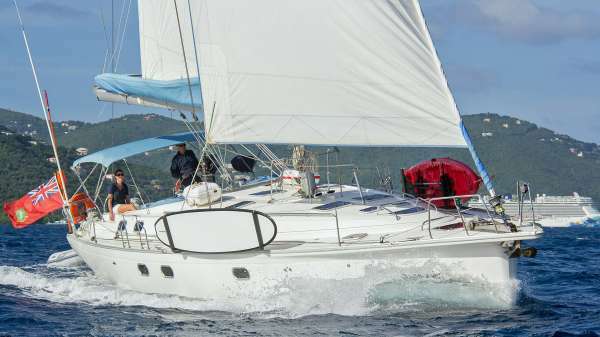 Her Twin Helm Design And Pass-through Transom Combine To Create A Great Space When Sailing And An Extremely Comfortable Area To Relax In. 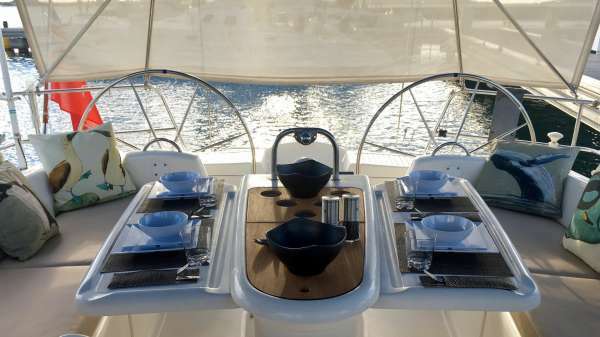 Guests Tend To Enjoy Dinning On Deck The Most, And Here S/y Nemo Can Also Easily Sit All Six Guests. 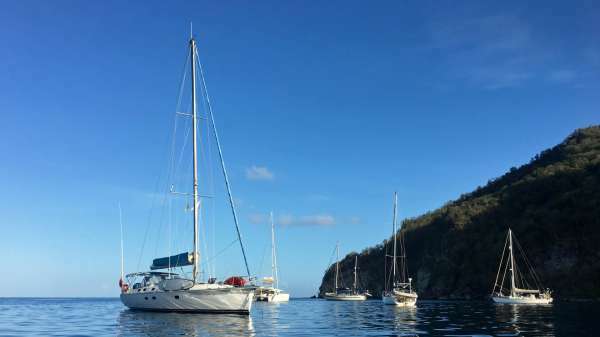 Her Swimming Platform Provides Great Water Access, As Well As Easy Access To The Dinghy, Kayak And Paddleboard. 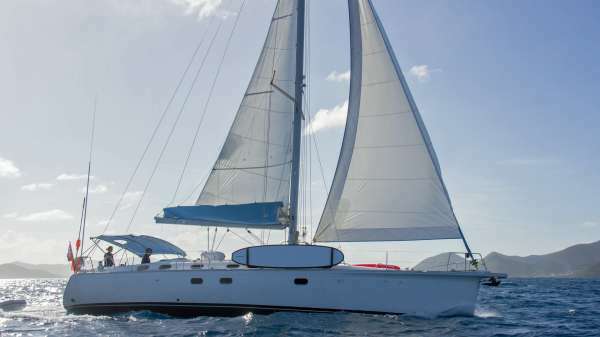 On Deck We Have Kaisrs And A Hammock For Guests To Relax And Soak Up The Tropical Sunshine On. 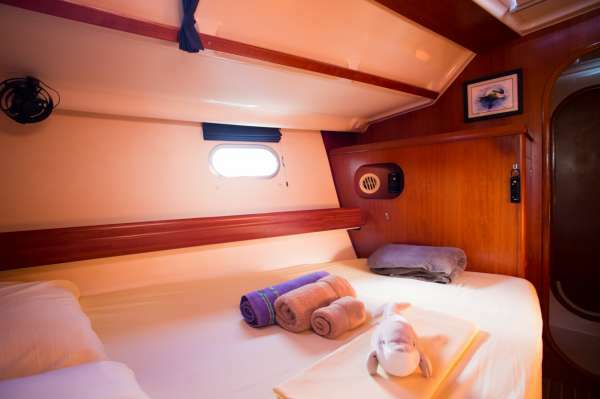 All Guest Cabins Are Queen-sized Cabins, And Have An Ensuite Shower Room. 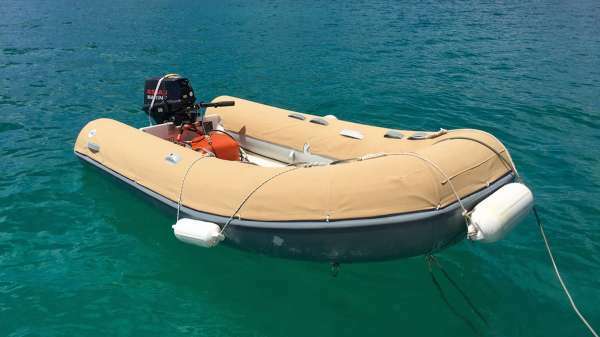 The Maximum Capacity Is 6 Pax, But The 4 Cabins Are A Great Choice For Single Guests. Each Of The Four Guest Cabins Has Three Windows, And One In The Ensuite, Continuing Her Light And Airy Feel. Two Of The Cabins Can Also Be Converted Into Twins. 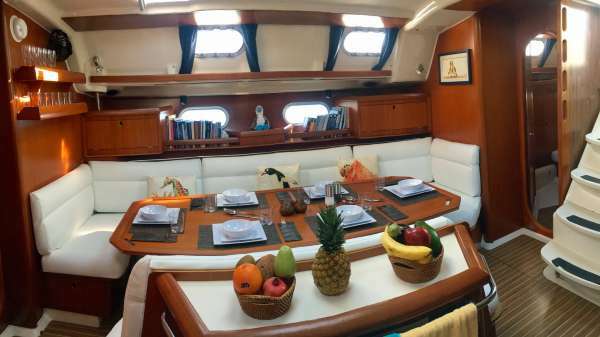 The Crew Have A Separate Cabin And Ensuite. All The Cabins Have Electric Fans. Each Cabin Is Themed With Art To Support Wildlife We ‘adopt’ Annually Through The Wwf – Blue Footed Booby, Green Sea Turtle, Bottlenose Dolphin, Brown Pelican, Humpback Whale And Harbour Seal. 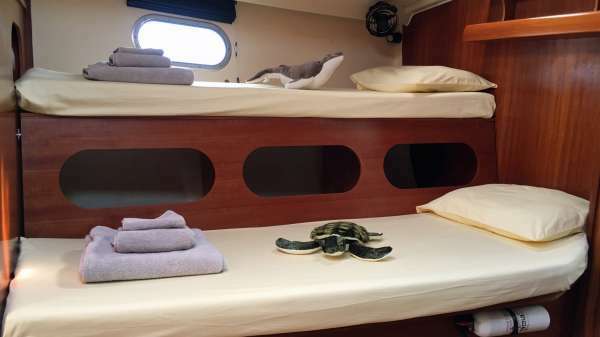 The Dolphin Cabin (port Forward). Has 1 Electric Fan. The Seal Cabin (port Aft). Has 1 Electric Fan. 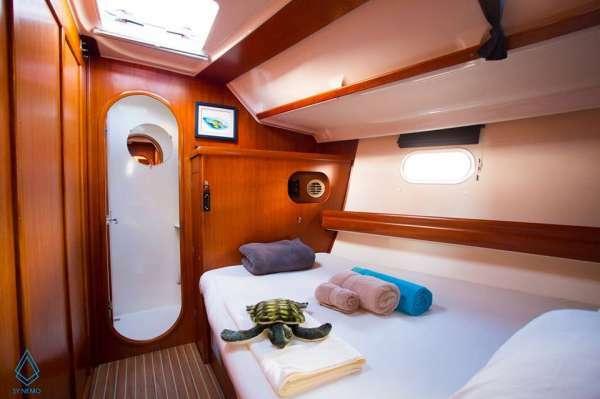 The Pelican Cabin (starboard Aft). Has 1 Electric Fan. Deck Cover: Keep Hatches Open At Night With A New Deck Cover. 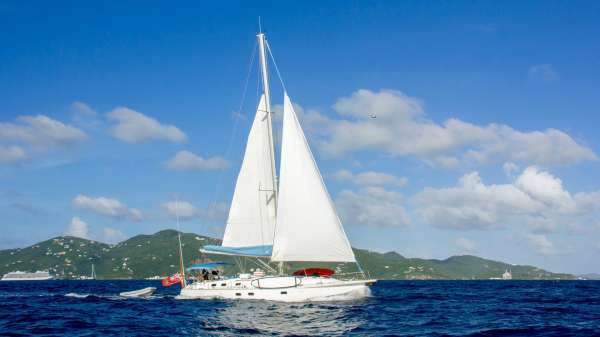 Feel The Cool Caribbean Breeze As You Sleep At Night. 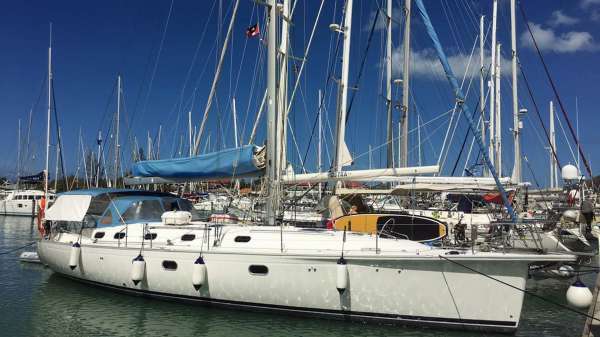 S/Y NEMO SY Yacht Charters.